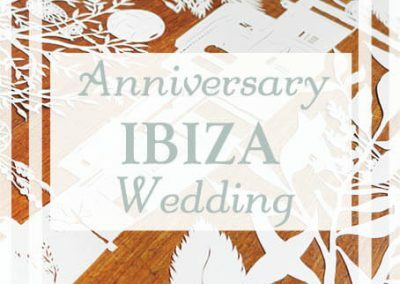 Many clients choose a handcut and custom made papercut to visualise and commemorate a memory, a particular event or to make an outstanding and very personal gift for a special occasion. 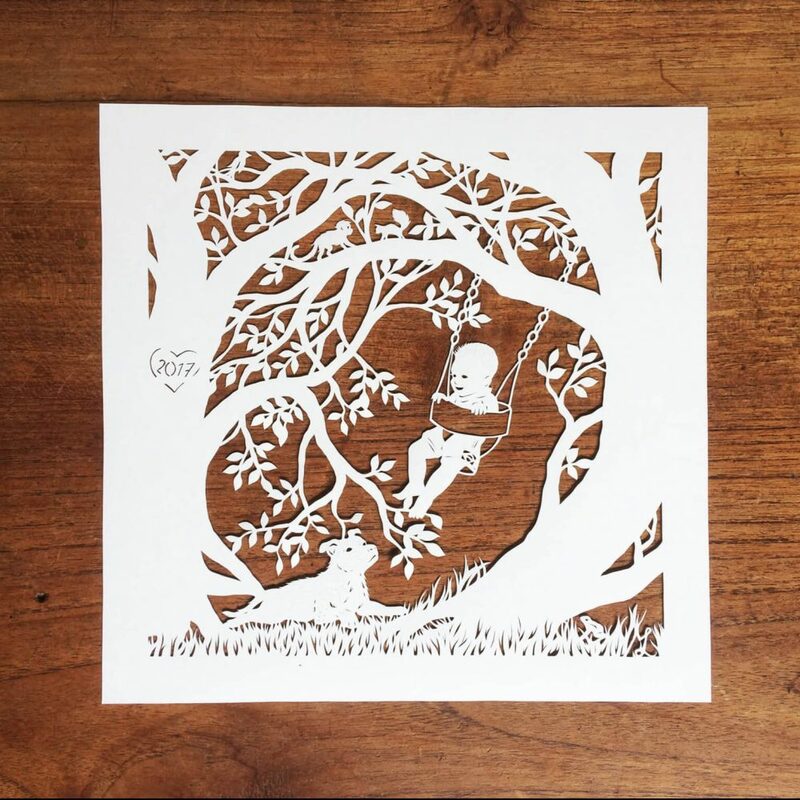 a unique papercut piece is always a perfect gift. 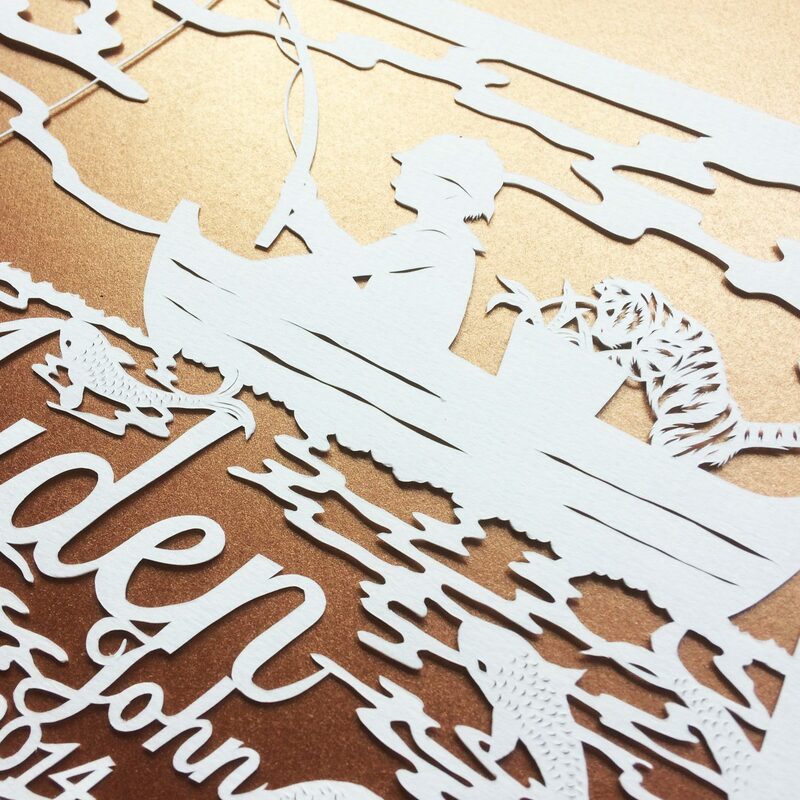 As you papercut will be designed from scratch and exactely according to your wishes, almost anything is possible. 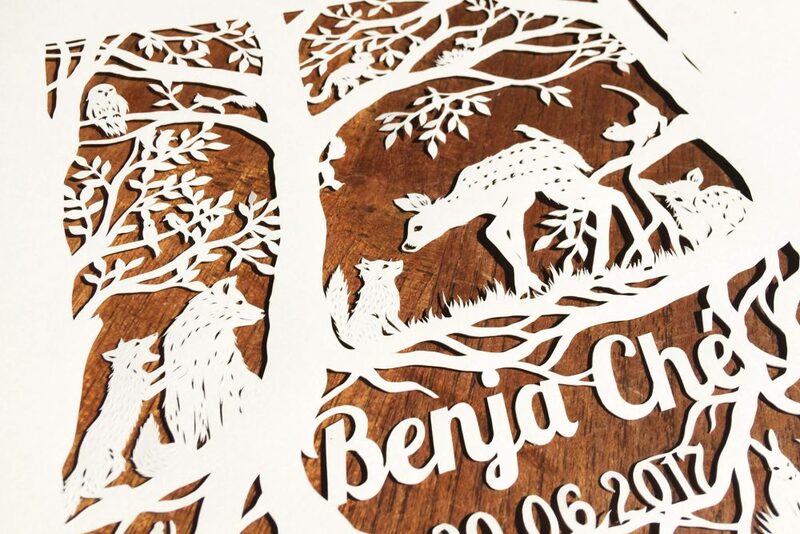 I’ve made papercuts to celebrate newborn babies featuring their name and birthdate, pieces for Sweet Sixteens, papercut nightlights, but also as a gift for caretakers of these precious children. 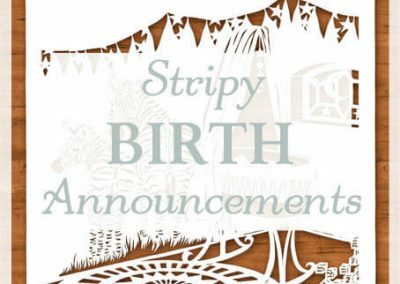 A custom made birth announcement is possible as well (click on the link for more info). But maybe you have something totally different in mind? I’m looking forward to hearing about your ideas! 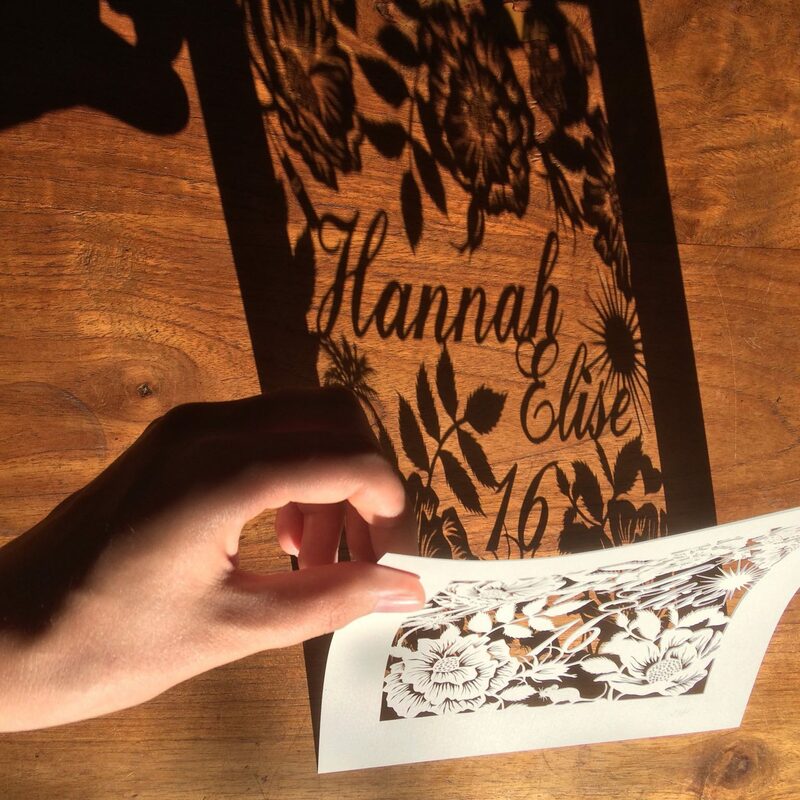 The process of creating your unique papercut is generally the same no matter what it’s made for. 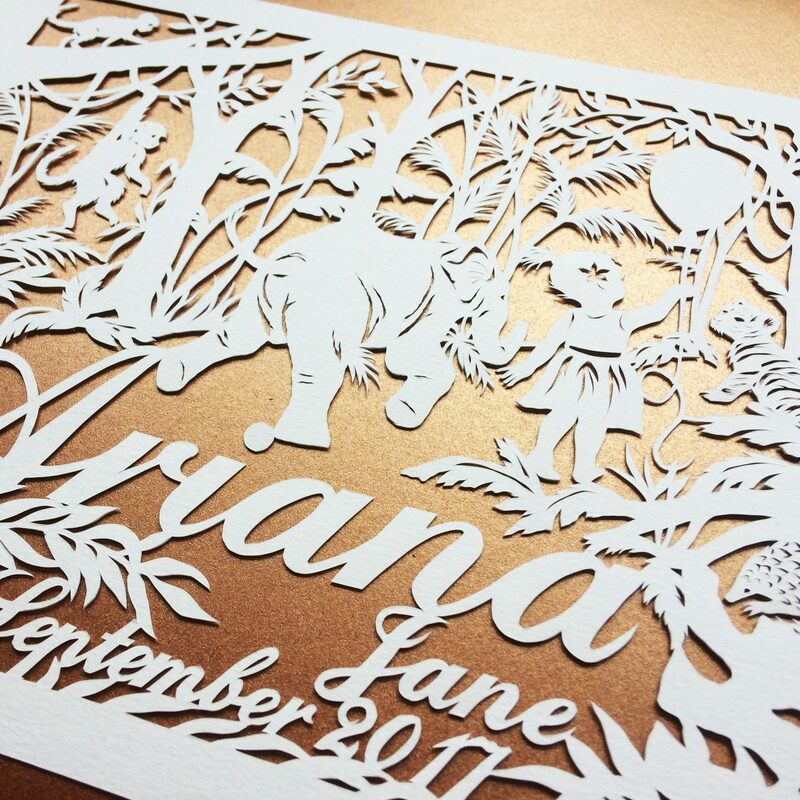 All generic info like the process of making your papercut, leadtime, average prices and other FAQ you can find on the Papercut Commissions page. 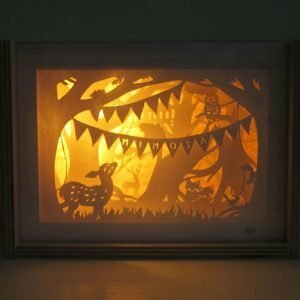 Papercut nightlights are available both with a custom made design or a ready-made design for the smaller budget. 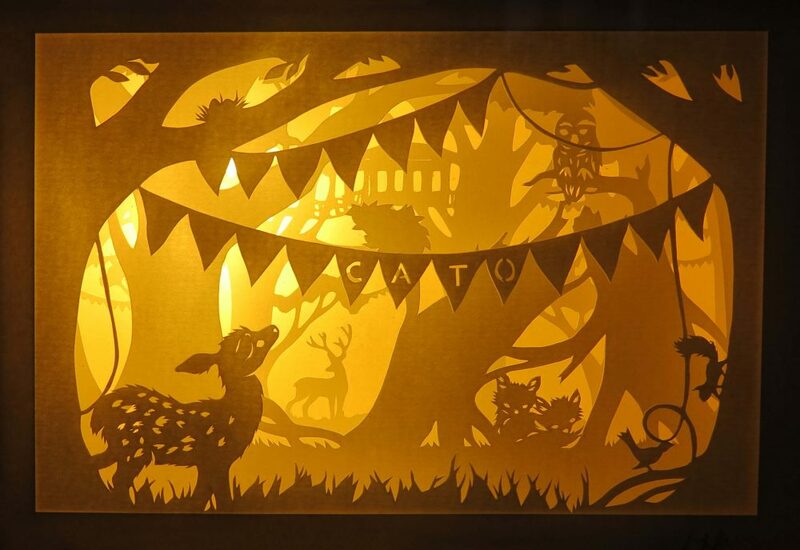 These ready-made designs (nightlights and one layer papercuts) are available in my Etsy Shop. we can work together to make this reality. Just contact me to request a custom quote and ask all the questions you may have.